The State of Palestine and all Palestinian people living in other countries annually observe Nakba Day on May 15. 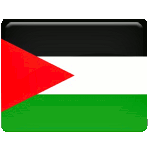 This is an annual commemoration day of the displacement of the Palestinians. The name of the holiday “Nakba Day” means “Day of the Catastrophe”. Its name refers to the events of 1948, when Israel declared its independence. Hundreds of Palestinian towns and villages were destroyed and depopulated during the 1948 Palestine War. About 700 thousand people fled their home or were expelled. The refugees settled in Jordan, Lebanon, Syria, West Bank, the Gaza Strip and Israel. The commemoration of Nakba Day has been practiced for decades, but it was weak. Families or members of one community gathered at the sites of their former villages to commemorate their ruined homes. The public attention to Nakba Day was drown only after the 1991 Madrid Conference, that broached the subject of refugees. That year the Association for the Defense of the Rights of the Internally Displaced in Israel was found to organize annual Marches of Return, that take place on May 15. During the march refugees return to the sites of their villages.